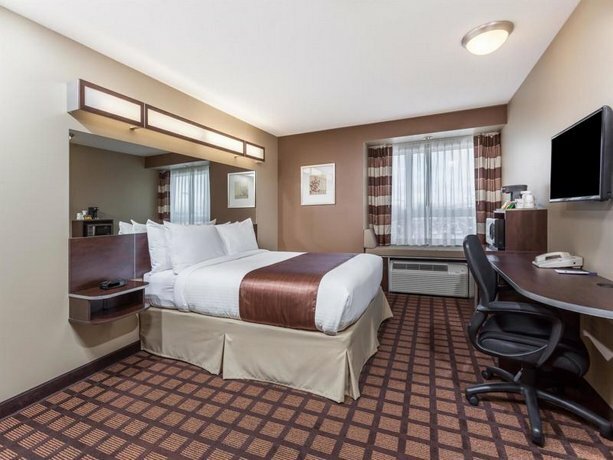 This hotel is situated on Highway 101, just 5 minutes' drive west of the town centre area, and is across the street from Timmins Square shopping centre. Offering convenient highway access, this property is well situated for guests looking to explore the area by car. 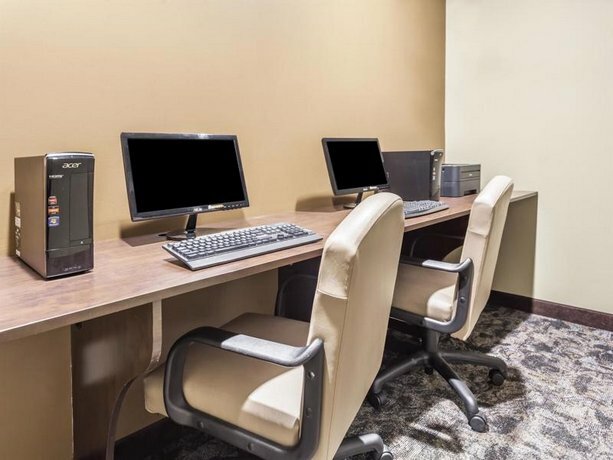 All rooms are smoke free and include free Wi-FI, a TV, a coffeemaker, an iron and ironing board and a hair dryer. 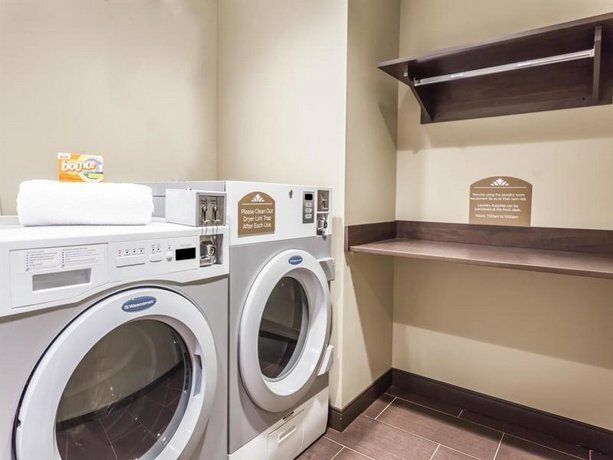 Select rooms also include a mini-fridge and a microwave. 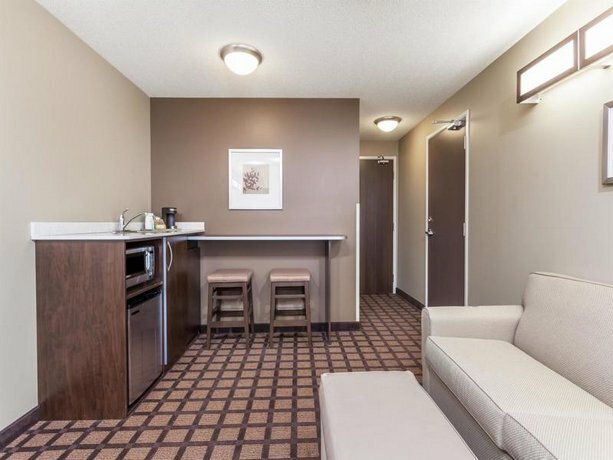 Suites provide more spacious accommodations and also include a sofabed, while wheelchair-accessible rooms are also available. Free parking is available on site and pets are permitted in select rooms for an additional fee of $15 per pet, per stay. A free breakfast is served from 6:30 am to 9:30 am on weekdays and from 7 am to 10 am on weekends. This hotel does not have an on-site restaurant, but there are many dining options within a short walk. 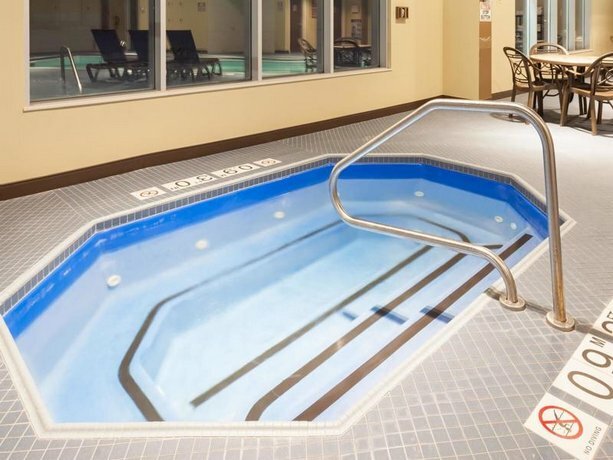 Other on-site amenities include an indoor heated pool, a hot tub, a fitness centre, meeting space, a business centre, ice/vending machines, free coffee in the lobby and coin-operated laundry machines. 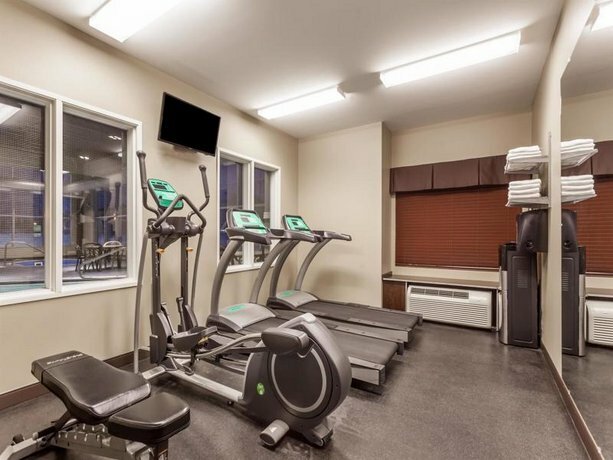 The town centre area, which features restaurants, 101 Mall and the Northern College of Applied Arts and Technology, is 5 minutes away by car, while the Hearst University of Timmins is a 7-minute drive away. The Shania Twain Centre museum and the Timmins Underground Gold Mine Tour are both 9 minutes away by car. The Kamiskotia Ski Resort is about 11 minutes away, while Kamiskotia Lake is 30 minutes away by car. 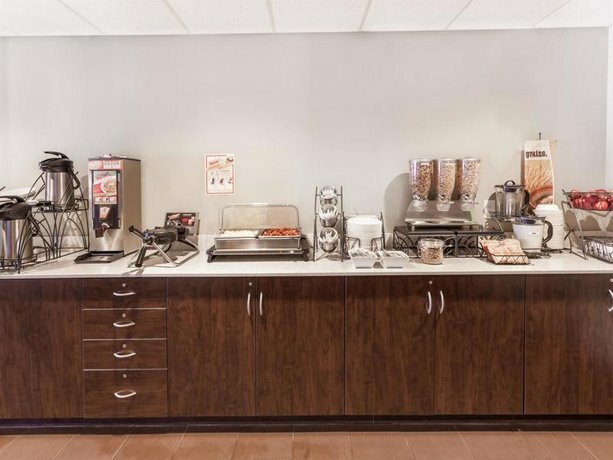 Verified by a front desk agent on February 10, 2014: Free breakfast hours and pet policy. 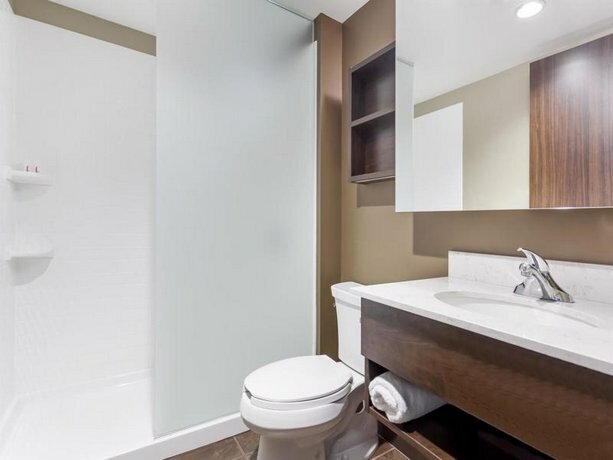 Many guests seemed impressed with the quality of accommodations at this hotel, among the reviews used for this analysis. 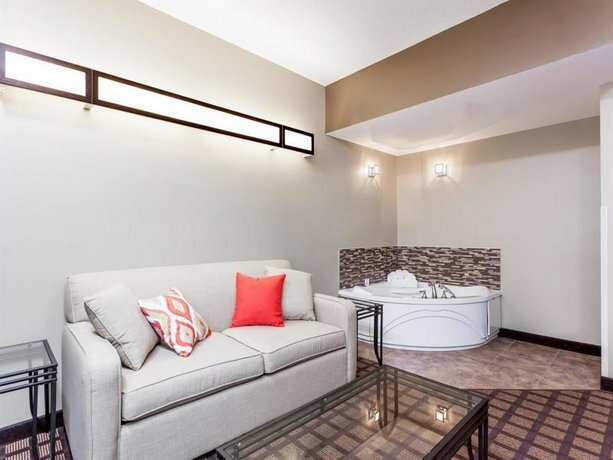 Many guests described their rooms as clean and comfortable, while several reviewers added that their rooms were well appointed with modern furnishings. A few reviewers found their rooms to be quiet, but some other guests did not (see below). 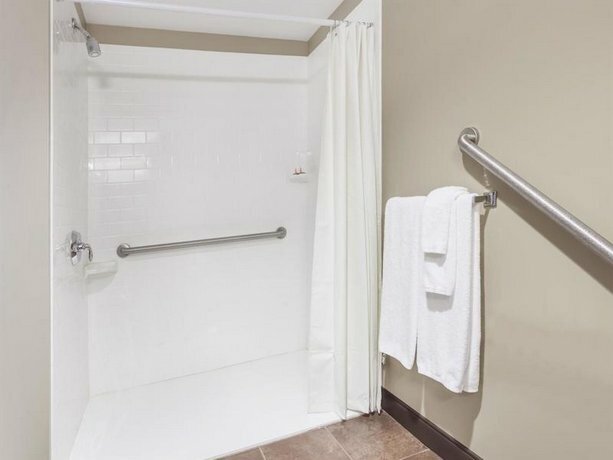 The staff were frequently complimented for their friendly service and one reviewer said, "the staff went out of their way to make my stay as comfortable as possible." 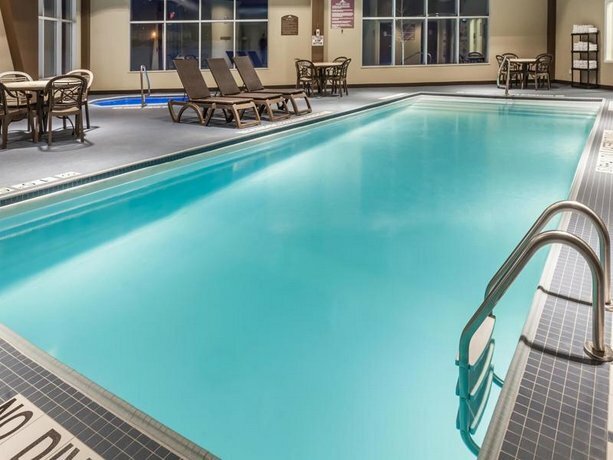 Several guests enjoyed the pool and hot tub area and a couple of reviewers added that the pool and hot tub were both comfortably heated. Several reviewers appreciated the free breakfast, while a couple of guests thought that the room rates were reasonable. There were few common concerns found for this hotel, among the reviews sourced for this editorial. However, a few guests described their rooms as small. While a few guests found their rooms quiet, a couple of other reviewers were disturbed by noise from neighbouring rooms. While the staff were frequently complimented, as mentioned above, there were a couple of guests who were disappointed with the service they received. These two guests said that the front desk agents they encountered were disorganized and unprofessional. 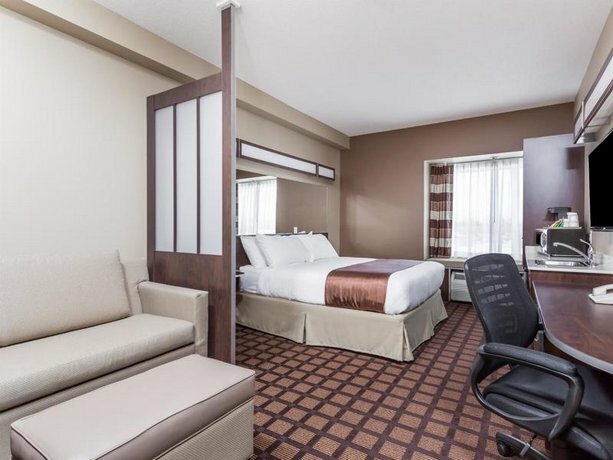 Expedia.ca gave this hotel an average score of 4.3 out of 5, with 96% of 74 guests recommending the property. 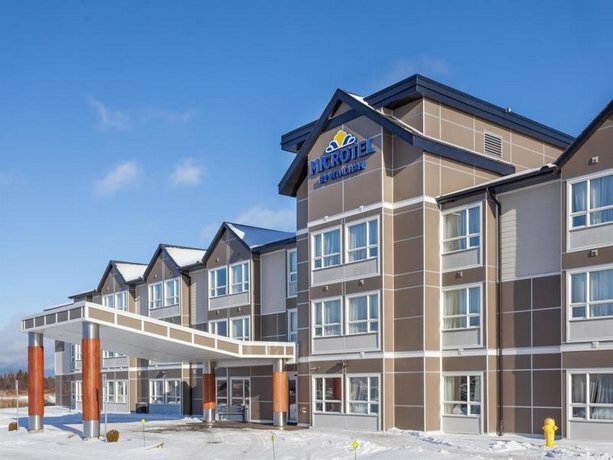 TripAdvisor.ca ranked this hotel #2 out of 10 hotels in Timmins, with an average score of 4 out of 5, from 161 reviews. 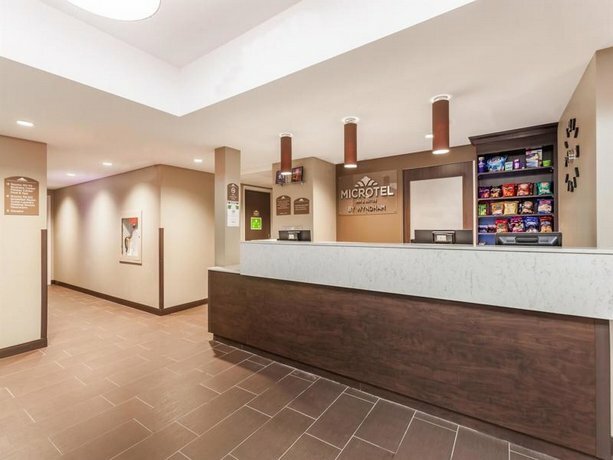 The average guest rating for Microtel Inn & Suites by Wyndham - Timmins is 8.3 out of 10 based on 1025 reviews from past guests. 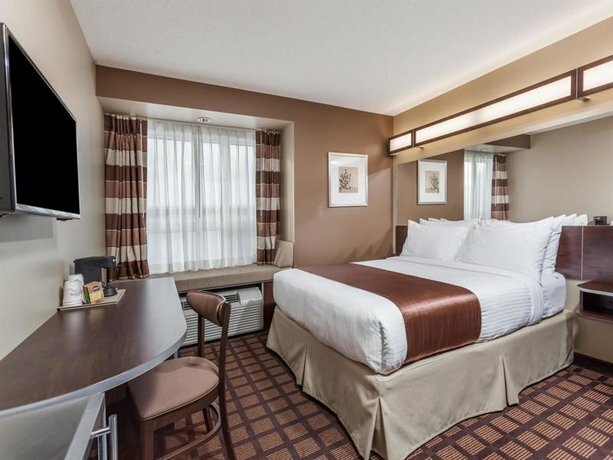 This average guest rating ranks Microtel Inn & Suites by Wyndham - Timmins at #2 out of 7 hotels in Timmins.